During a lecture at Lighting Japan last week, Philips’ OLED head of production Wolfgang Doetter gave some insights on Philips OLED production and the general OLED lighting market of the near future. 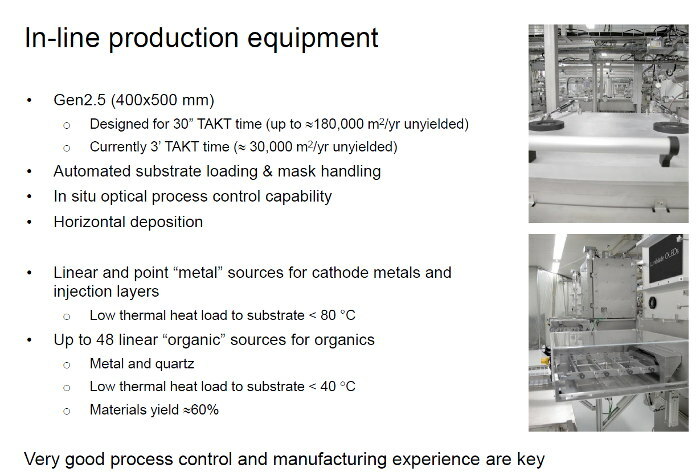 The conclusions from Wolfgang's lecture is that the OLED market is evolving rapidly and that process knowhow is the key to producing high quality OLED panels. Wolfgang said during his speech that for producing reliable OLEDs one needs to master the processes and needs to be able to replicate them on a regular basis. 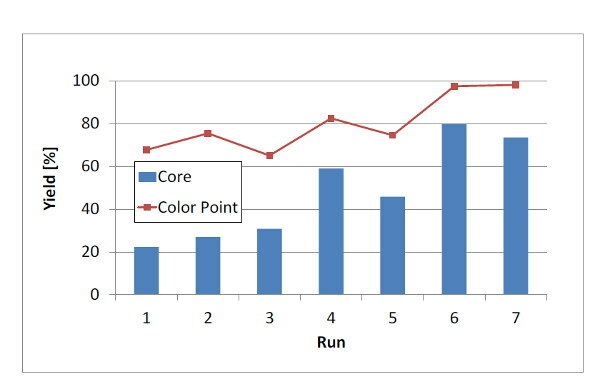 Issues like on-plate layer thickness uniformity as well as plate-to-plate thickness uniformity or the ability to produce OLEDs to a defined color point are basically the issues any producer of OLEDs has to master in order to be able to maximize the production yield and reliably deliver high quality OLEDs. Philips has been working on those issues during the last years. 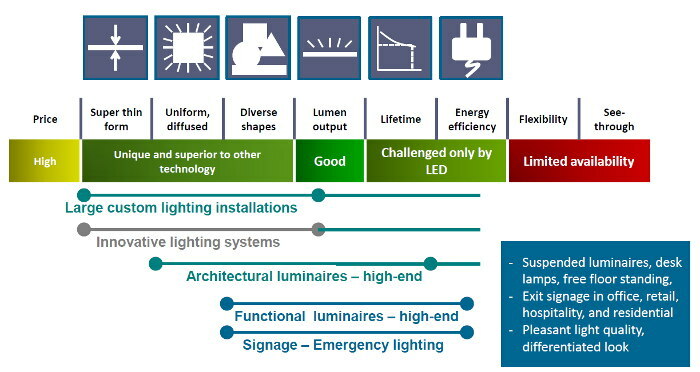 When their new production fab in Aachen was launched in 2012, these quality points have been incorporated into the new line of OLEDs (and resulted in panels such as the Brite FL300). The new line enabled thin-film encapsulation which performed better than glass encapsulation (Philips says that glass encapsulation suffers from sealing rapture when put under torsion). Philips track record on OLED production shows that adding better specifications – e.g. better efficacy or more brightness – can be done faster and more reliable due to their understanding the processes better. This will improve the way to market for the next OLEDs planned at Philips. During thee Lecture, Philips disclosed their production yields (which are now over 80%), and disclosed their production tool which has been top secret until now. It seems that Philips is opening up its OLED program - perhaps wanting to find partners in order to help grow the OLED lighting faster than its current rate.